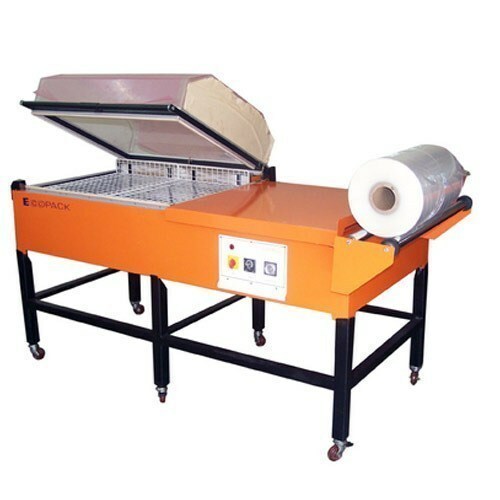 We are the leading and prominent Wholesaler and Supplier of Shrink Wrapping Machine. The Standard Type Foundry is the partnership based company that started its business in the year 1988 at Kolkata in West Bengal, India. The Standard Type Foundry is a one-stop shop for Printing & Binding Equipments. Our company is the most eminent wholesale supplier of Paper Cutting Machine, Lamination Machine, Paper Shredder Machine, Note Counting Machine etc. Offered products are manufactured by our professionals according to the set industrial quality norms and standards. Also, they use innovative ideas, qualitative components and sophisticated technology while manufacturing these products. We procure the goods as per the demands and requirements of the customers and then timely delivered them after a stringent quality test. Offered machines are highly acknowledged and demanded by our customers for their advance technology, rigid construction, compact design, durable finish, reliable operations and many more. Moreover, we are efficient to complete the bulk consignments given by the clients on time with maintaining high quality standards in the products. This is possible due to the support of our authentic vendor base, state-of-art infrastructure and diligent workforce.